Farrow came from Blacktown Pound in awful condition, she had a filthy matted coat, some disgusting green teeth as well as other issues that were not revealed until she was under anesthetic for desexing. Farrow had a huge lump that had wrapped itself around her bladder, she also had a lot of small lumps coming off the original lump, she would have been in a lot of pain and very uncomfortable before these were removed. Our vet performed all of the necessary surgery and once recovered Farrow became a very happy and playful dog. She loves laying on the couch with her foster family begging for all of the attention and cuddles that are on offer. Farrow would love a home with a family/retired couple who will give her all the love and attention that she has obviously missed out on in her previous life. A home where she will be the only dog will not worry her because she does like all of the attention for herself. Farrow would rather live with a family where someone is home more often than not, or could take her to work with them. 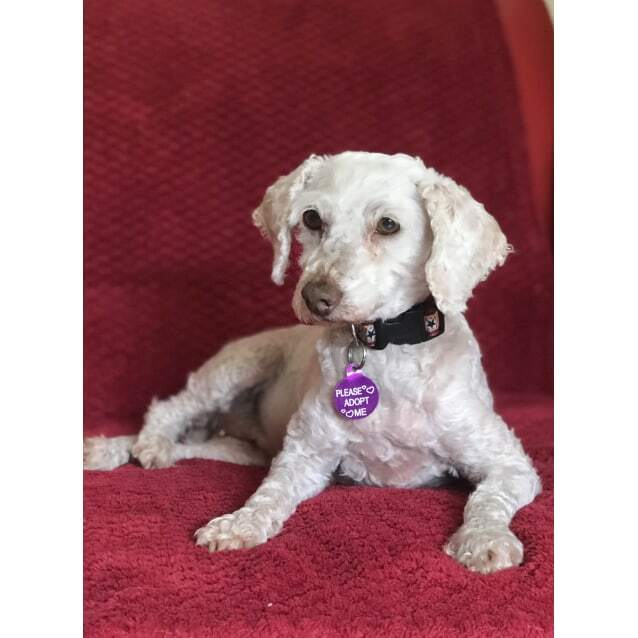 Farrow’s coat will grow and require ongoing grooming, being a Poodle she does not shed and is perfect for someone who has allergies. She is a house dog and must have access via a doggie door or similar at all times. UPDATE:- PATHOLOGY HAS CONFIRMED THAT THE LUMPS FOUND IN AND AROUND FARROW’S BLADDER WERE ALL BENIGN.